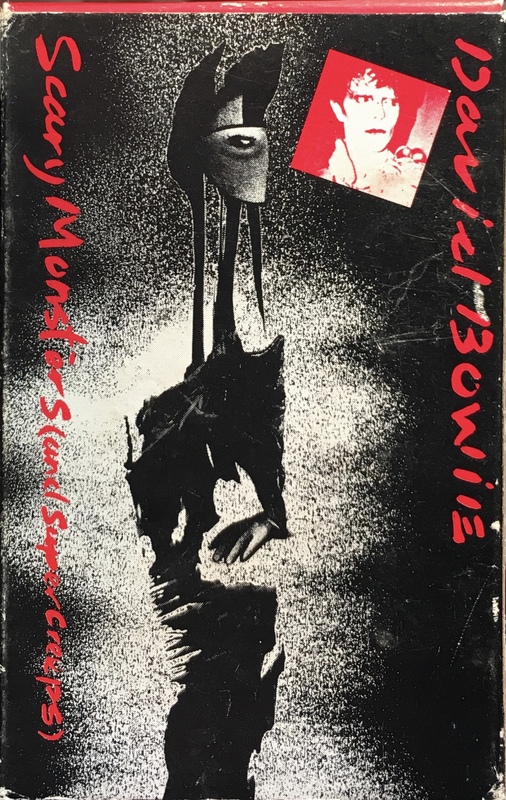 Scary Monsters (And Super Creeps): UK; RCA, BOW C 8; 1980. Picture cover card box with picture front and rear and one red and one black side panels. Unlike the slip case this cover has tabs to close the cover over with; the top one is red and the bottom one black. Track list on rear panel, production and design information on the red side and manufacture information on the black side. 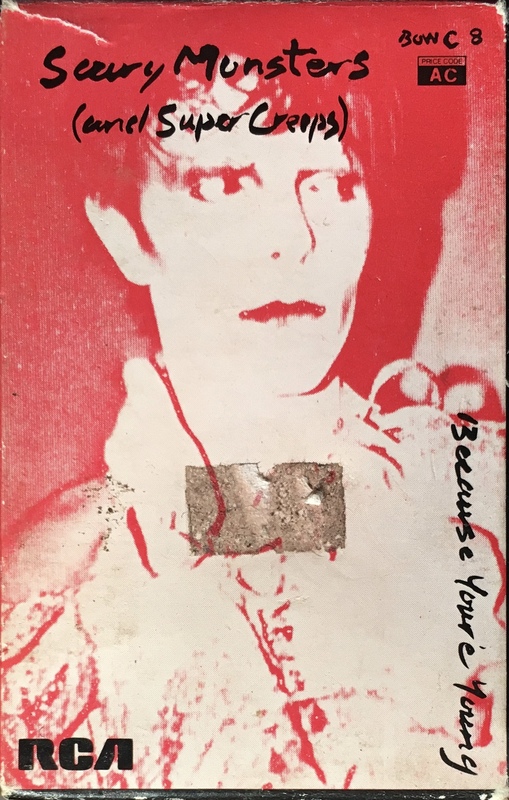 Price code ‘AC’ on red cover panel. 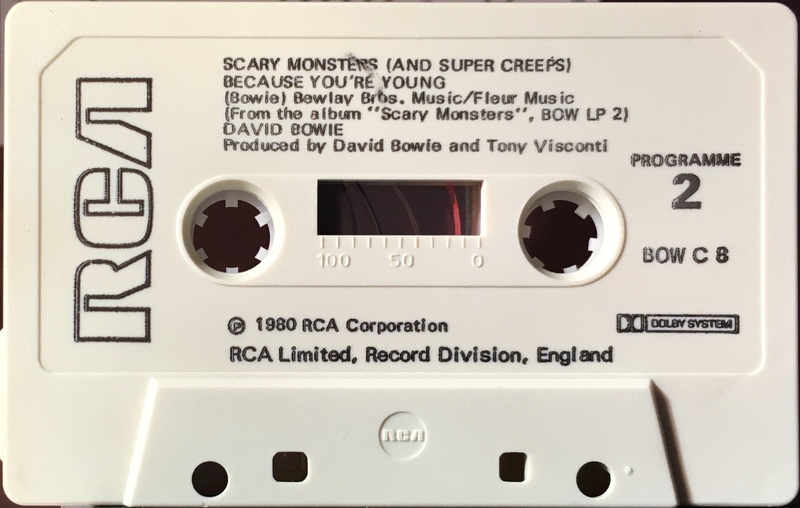 Side 1: Scary Monsters (And Super Creeps); Because You’re Young. 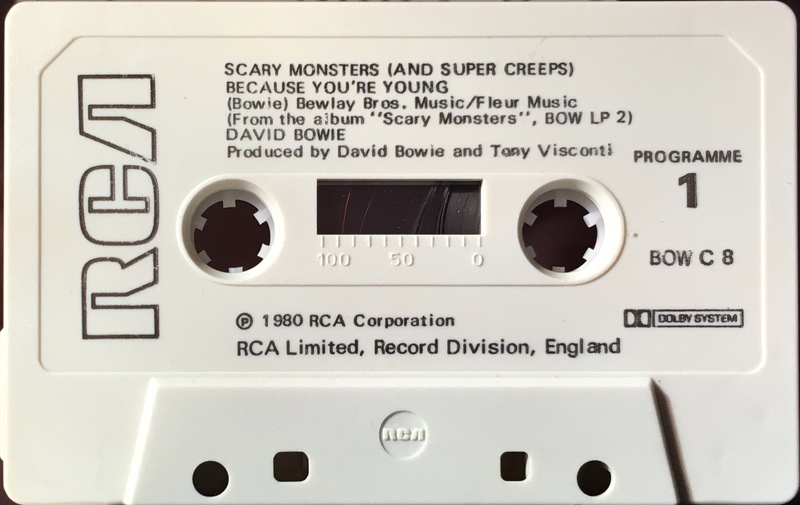 Side 2: Scary Monsters (And Super Creeps); Because You’re Young.